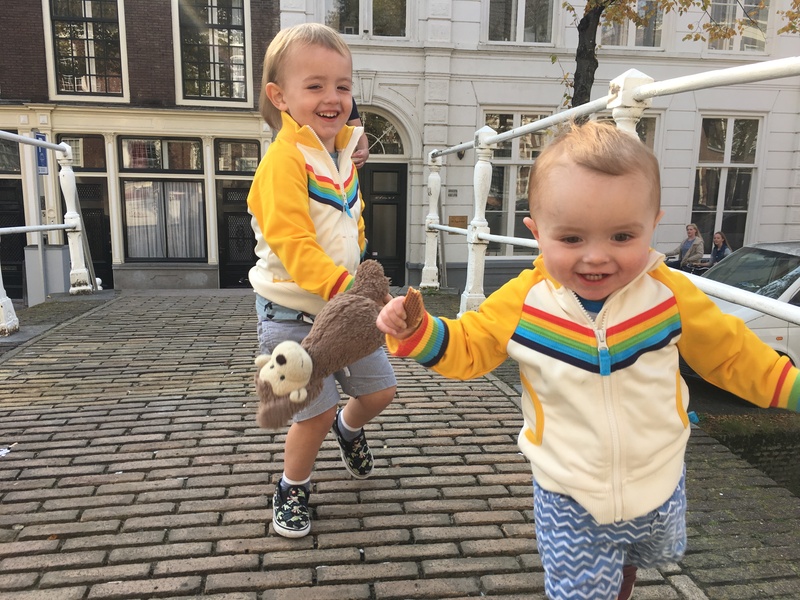 WE all know that I love a bit of matching-but-not-quite-matching when it comes to dressing our two boys. I like to hunt out things that have quirky prints, buying the trousers for one and a top for the other, or trying to keep them in similar shades when we go out. I don’t know why, it’s just something I’ve got into, and being on holiday gave me the perfect excuse. I have to admit, when I tried Ezra’s on him for size, I wasn’t convinced it would suit him. He looked like a bit of a geezer with the collar turned up, and I could imagine him swaggering around Essex with Gavin and Smithy. Thankfully he pulled it off (or at least I think he did), and the pair of them looked super cute on our day out in Delft. 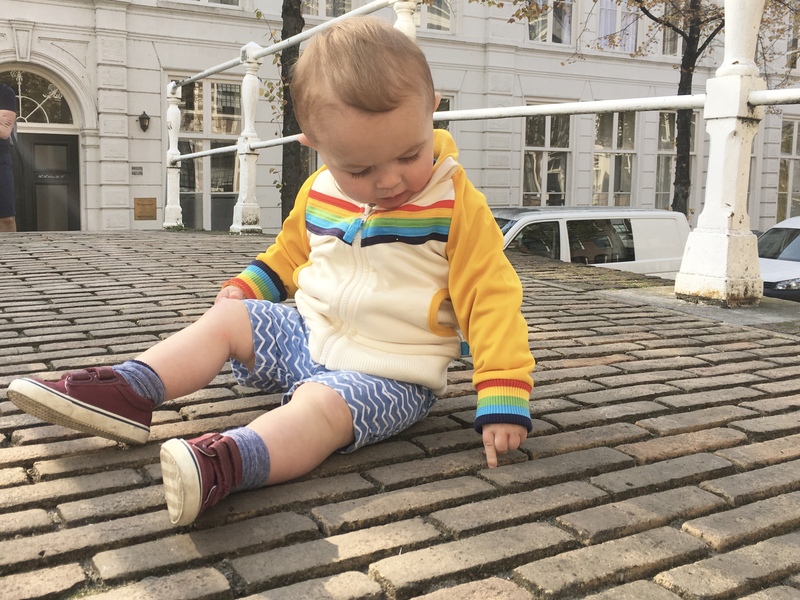 Ezra wore his with blue and white chevron print shorts from John Lewis and a pair of burgundy hand-me-down Lacoste trainers, which we bought for Santi in the Schuh January sale a couple of years back. 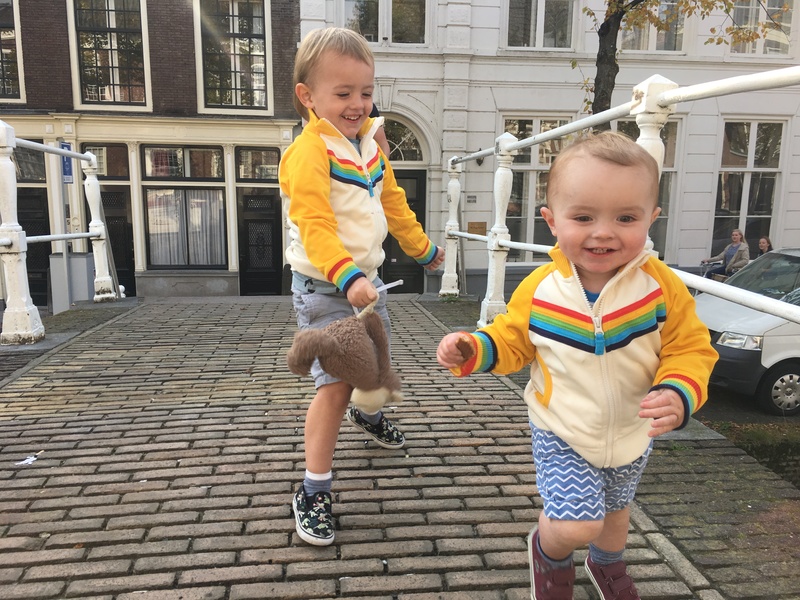 Just a tip – it seems extravagant buying branded shoes for toddlers, but in the sale they are cheaper than Clarks and the quality is often much better). 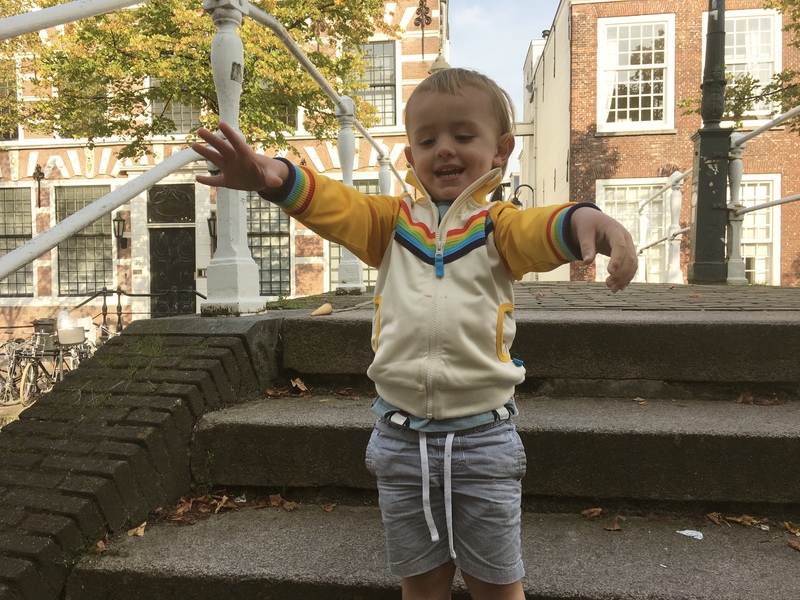 And Santi is wearing his jacket with a pair of striped shorts from H&M (last year, but I’m sure you can still get similar) and his Buzz Lightyear print Vans (sorry, I don’t think these are around any more). I think this is my favourite sequence of photos of the boys together. 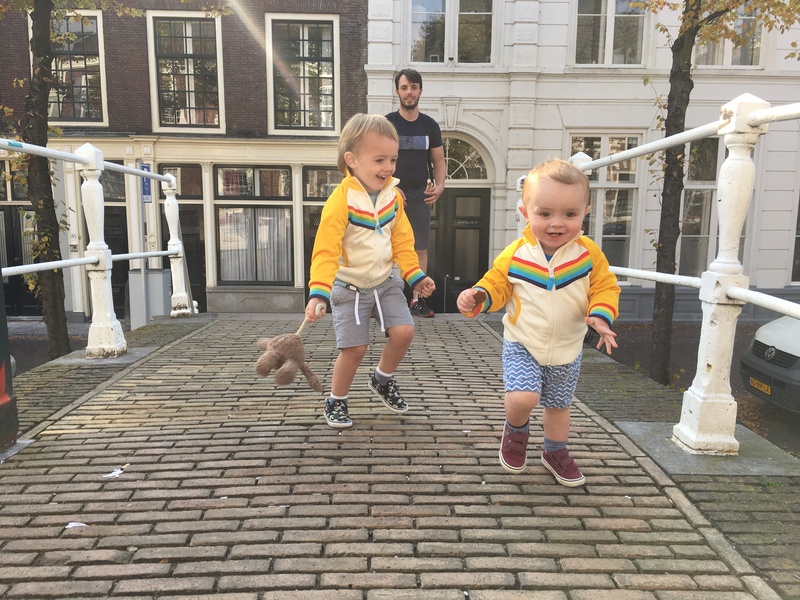 They were loving chasing each other over the bridge … and check out Insta-husband Stew in the background who had to hold them back until I was ready! Apologies for the picture quality, by the way, my big camera decided to give up on us half way through our holiday and I was stuck with just my phone. I couldn’t actually believe we were in such a pretty place without a decent camera … one reason to return, I guess!